we invite you to a place WHERE WE WELCOME EVERYONE WITH A SMILE AND WITH OPEN ARMS. A PLACE WHERE there is hope for lives to be TRANSFORMed. IT IS OUR MISSION TO IMPACT THE WORLD BY FOSTERING POSITIVE CHANGE IN ALL LIVES AS WE ASPIRE TO PRODUCE FUTURE CHANGE AGENTS OF TOMORROW FOR OUR NC COMMUNITIES AND BEYOND! The ASPIRE 2 ACQUIRE (A2A) organization engages youth and adults in intense and interactive events, informative meetings and counseling sessions, and recreational activities to help them cope with real life situations that many are faced with. We serve underserved communities, at risk youth, and those who have a history of violent crime and gang influence. Our multi-faceted program is designed to train and equip people to be valuable assets and effective community leaders. Get your manuscript published today with A2A Book Publishing Service. Your poems, recipes, biography, or artwork can now become a literary reality! Check out our books and services under the "Books and Publishing Services" tab. The Stones Will Cry Out radio Show is a platform for the listeners in the outside world to hear from the men and women in the “belly of the iron beast” exactly what they experience in America’s prison system. The time is NOW for us to hark a clarion call against unmitigated injustice and demand change. It starts with US! SHOW NAME: The Stones Will Cry Out! The WARRIORS 4 EPILEPSY falls under the umbrella of (A2A). For more information on this organization, please visit our website at Warriors4Epilepsy.com. ASPIRE 2 ACQUIRE has successfully organized, coordinated, and designed numerous events. Please check out the gallery below to view some of their most memorable events! The Y4L Program is facilitated by both youth and adult instructors. The purpose of this program is to give youth a sense of direction as they take several paths into their business journey, with the hopes of leaving them with a renewed sense of vision and purpose for their life along with the tools that will help them to accomplish these goals. At the tender age of 9, this young lady published a book for which she won a PTA award. She has since published her second book and she also does speaking engagements. This chairperson for the National Junior Honor Society is an inspiration to many of her peers. Our first A2A Youth Summit was held on August 8, 2013 at the Sir Walter Hotel in the heart of downtown Raleigh and it was hosted by Chaplain Anthony James and Domita White. Our distinguished panelists were Durham Senator Mike Woodard and the lovely Mrs. Ericka James of Kingdom Ministers Association. Our event emcee was Ky'Ron, who wowed the youth with his amazing vocal and spoken word skills. Since its inception in 2013, the Warriors for Epilepsy has hosted numerous events via community involvement as a means to spread awareness. It is our mission to fight a WAR against ignorance , intolerance, bullying and the misconceptions associated with Epilepsy and SUDEP. It is our mission to EDUCATE the world in order to ERADICATE the stigmas to help EMPOWER those who feel that they have no voice so that the world can EMBRACE EPILEPSY! The first W4E stroll was held at Cary Town Center Mall on November 9, 2013. This amazing event was held at the historical First Baptist Church. The event emcee was the lovely Mrs. Ericka James and our special guest was WRAL news anchor Michelle Marsh. Our keynote speaker was the lovely Pamela R. Kelly, Regional Administrative Director for the U.S. Veterans Affairs at the SouthEast Epilepsy Center of Excellence. Durham Councilman Eddie Davis read proclamations that were signed by Honorable Mayor Nancy McFarlane (Raleigh), Mayor Harold Weinbrect (Cary), and Mayor Bill Bell (Durham). This awesome event was held at the State Street Community Church and the special event emcee was the lovely Ms. Stephanie Lopez from WABC news. Our special guest speaker was the lovely Julie Ann Nettifee RVT, BS, VTS (Neurology) from the North Carolina State University College of Veterinary Medicine. She expounded on the relationship between dogs and humans and she enlightened the audience on dogs who have Epilepsy. We also had the lovely Mrs. Pearley Yelverton, the director of the Durham Epilepsy Support Team expound on her experiences with Epilepsy. 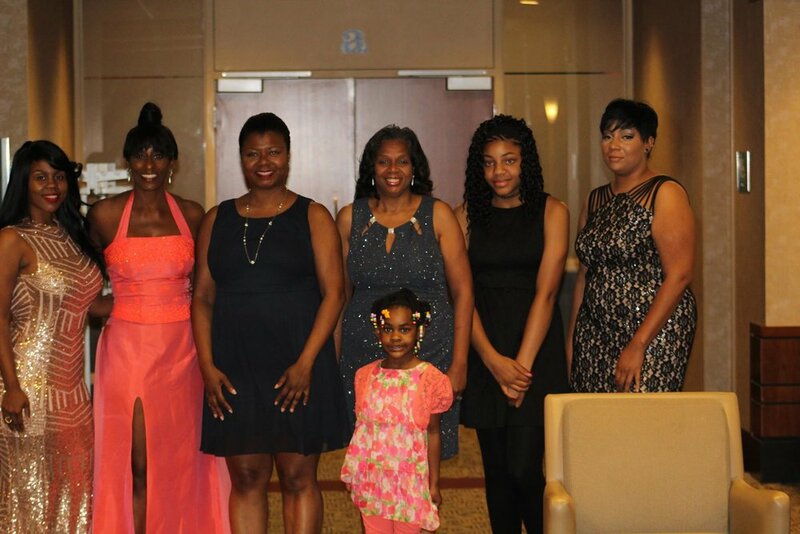 THE WARRIORS 4 EPILEPSY HELD ITS BLACK TIE AFFAIR 4 EPILEPSY on June 29, 2017. We were so honored to have in attendance the very humble Durham Councilman Eddie Davis as one of our distinguished speakers. Special thanks to Raleigh City Councilman Corey Branch for doing the honors by serving as the grand marshal for the Kool Dans Adopt-a-Highway cleanup project on September 23, 2017. Special thanks also to members of True Worship Fellowship Ministry and of Consuming Fire Church who have hearts of gold and who always take a sheer selfless sense of wanting to give back to the community joined us for this amazing cause. KOOL DANS 4 LIFE 5K RUN FOR EPILEPSY! Very special thanks to Governor Roy Cooper for signing my proclamation recognizing November as National Epilepsy Awareness Month in the State of North Carolina! Always the consummate multidisciplinary and committed crusader, Ms. White has dedicated her passion to be an active participant in community development. And this thriving leader has been called to two causes dear to her heart and they are Epilepsy and the prison movement. Ms. White has demonstrated her passion and compassion for these causes by advocacy, writing letters and placing calls for those who are ostracized, bullied, shunned and forgotten by society. She has participated in a reentry program as a mentor to women at the North Carolina Correctional Institution for Women in Raleigh. She recognizes that both plights are similar in that people with Epilepsy and people who were formerly incarcerated are often made to feel imprisoned in their minds by society, therefore making the reentry process and Epilepsy a stigmatized challenge. Part of her strategic structure is to start from inside the court system, women's shelters, community centers and detention centers in order to establish relationships before people get into more serious trouble. She also tutors, mentors and counsels high school students who have faced challenges or have been labeled as "at-risk" youth. It is her hope to help these children before they become a statistic of the "School to Prison Pipeline" system. Ms. White is also a motivational speaker who educates and spreads epilepsy awareness at various functions. Her vision is to plug into the school system to give children a "101" on how bullying is also tied into Epilepsy - as people who live with this disorder have been bullied relentlessly. She is also bilingual and has been very instrumental in connecting with the Latino community. Ms. White is also a prolific writer who has authored a few books relating to Epilepsy. She has also published a woman's journal and an autobiography titled Aspire to Acquire. She had also written grants and business plans for several organizations. She recognizes that everyone falls under the umbrella of humanity, and that through deep structural change, there is the hope of an emergence of transformed and restored model citizens who deserve another chance to transition back into society.